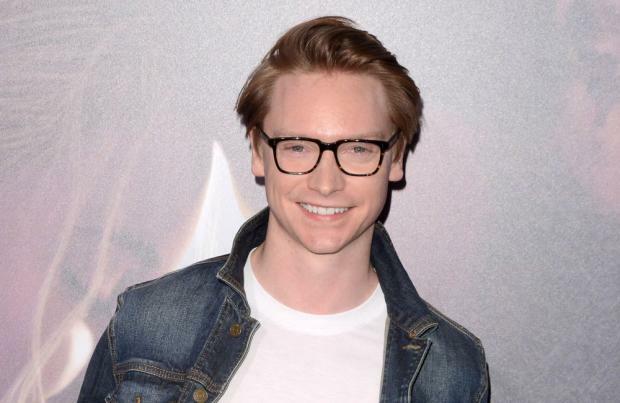 Calum Worthy knew he had to get his "rap battle" sequence right in 'Bodied' because "Eminem's name is attached to it". The 27-year-old Canadian actor has revealed that director Joseph Kahn told him he was the worst rapper he'd ever heard when he attended his audition for the role of Adam Merkin, however, the former Disney star was determined to practise spitting lyrics and get his scenes right because hip hop legend Eminem – who learnt his craft in rap battles – was one of the producers on the project. "However, I can't take credit for any of the sequences going well. It's really because of the other battle rappers that walked me through that process and spent hours teaching me how to go through every element of a battle." 'Bodied' follows college student Adam who gets embroiled in tense race relations on campus when he writes a controversial thesis on the rap battle scene. Worthy – who recently starred in the Netflix true crime series 'American Vandal' – was worried that portraying the controversial role of Adam would be a "risk" for him. He said: "I was nervous about tackling the subject matter. I was nervous about making sure that I could do the world of battle rap justice, and the character of Adam justice, as well. In order for Adam to work, you need the audience to question whether he's a hero or a villain, and that's a really fine line to walk. The script served that, but I wanted to make sure that I was able to serve that. The other thing I was worried about was that I was just coming out of a Disney Channel show, and I knew that this film could alienate a portion of my audience. "However, the artists I look up to take risks, and don't play it safe, but I want to continue to tell stories that I believe in, and this is one I really believe in. The way that I got past it was because of Joseph. I trust him. He really is a visionary director, and I knew that, in his hands, we'd be safe." 'Bodied' also stars Charlamagne tha God, Debra Messing Jackie Long, Shoniqua Shondai and Walter Perez among others.